I have never had any major problems with my skin, I got the occasional spot as a teenager but I was never really bothered with spots. I have been really lucky with my skin, up until now! Over the last couple of months I have been getting the odd spot here and there, I know some of you might think wow a couple of spots but I’m not usually bothered with them so it made me think that perhaps my skin wasn’t in the best shape. I also noticed my skin has been a lot drier recently, I’m not sure if it’s the change in the weather (or if that’s a myth) but I knew I had to start looking after my skin better. Thankfully I had recently been sent some skin care products to try and these came in very handy! I’m one of the worst people for trying something then giving up if it doesn’t work quickly but I decided to start a skin care regime and stick to it. I have never really done much to protect my skin or keep it in good shape, to be honest it’s been pretty neglected up until recently. So here’s where I probably went wrong, I wear make up and forget to take it off at night (major oops), I forget to moisturise, I hardly ever wear sun cream and generally neglect my skin. 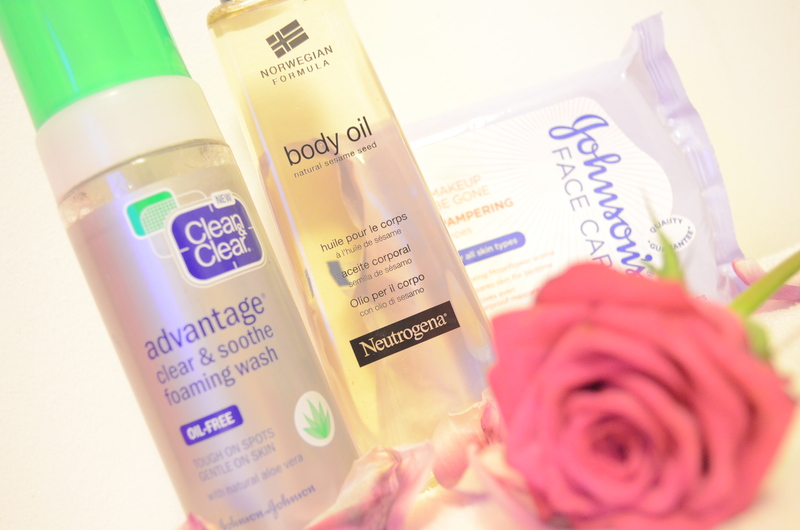 I am now making sure I remove make up as soon as I’m in for the day, I have replaced the baby wipes I normally use to remove make up (when I remember) for Johnson’s Makeup Be Gone Face Care wipes which are fantastic. They smell lovely, they remove makeup gently without having to rub the skin and they even remove waterproof mascara which is a big bonus. I don’t want a hundred different products cluttering up my desk when I can have one product that does the job. 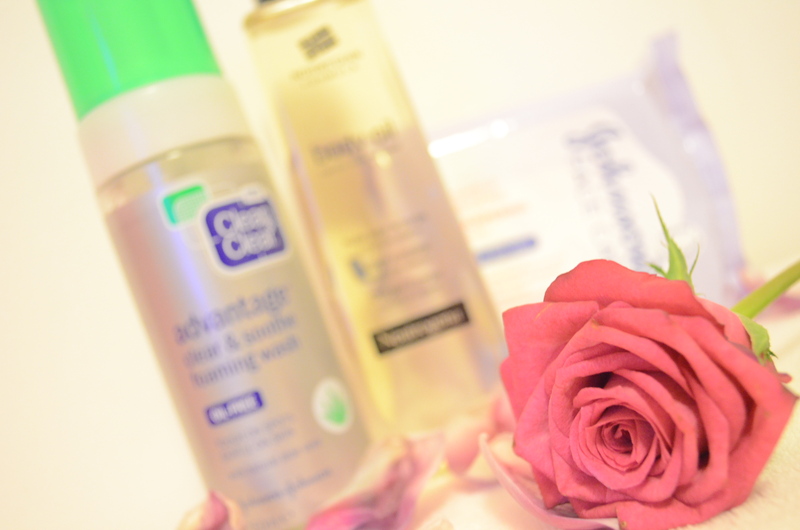 I have also been using the Clean & Clear Advantage foaming wash. This is designed to be tough on spots but gentle on skin, I think it definitely helped get rid of the pesky spots that had been refusing to go away. I really like this product, my face always feels clean and fresh after using it and you only need to use a small amount which makes this a product that offers value for money. The other item I have been using is Neutrogena Body Oil. I had been using this as an all over body moisturiser before I got the dry patch on my face and it was such a good product that when the dry patch appeared I decided to see if it would help as it’s designed to seal in moisture. I can’t say 100% if it was the body oil but after using it on the dry patch for a couple of days it had cleare up which was great as it really did look horrible. The oil has a really nice but subtle floral fragrance which makes me love it even more, it sinks into my skin really quickly and doesn’t look greasy. It’s another great product that will love your skin and keep it moisturised and looking great. My skin is now back to normal *touchwood* and hopefully I’ll be spot and dry skin free for a long time to come. I think now that I have a better skin care regime it will definitely help. 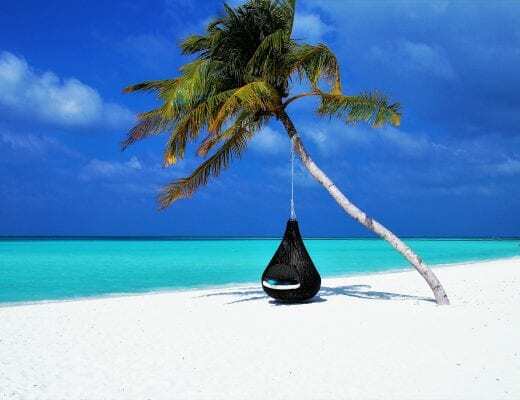 Previous Post Is Someone Stealing Your Blog Images?